being little • bristol uk fashion & lifestyle blog. : beau. If you've followed me for a little while, you'll know I'm quite the fan of headscarves and bows. As soon as I saw this Floral Liberty Bow Headband on the Beauxoxo website, I knew I had to have it! I could just imagine how incredible it would look with the colour of my hair, and I was not disappointed! There are loads of different accessories on Beauxoxo, if you're not into bows there'll still be something for you! And they're so reasonably priced! I'm now lusting after this fruit print bow! Awh I love it! Goes v well with your hair! You look lovely! The colours of your bow and hair look fab together! the bow is super cute. Such a cutie! That bow really suits you :). Nice top too... if that's what kids who's parents shop in Sainsbury's are wearing these days I'm very impressed/jealous! Love the bow, it looks so good in your hair! the bow looks so cute on you. im definitely going to buy one! 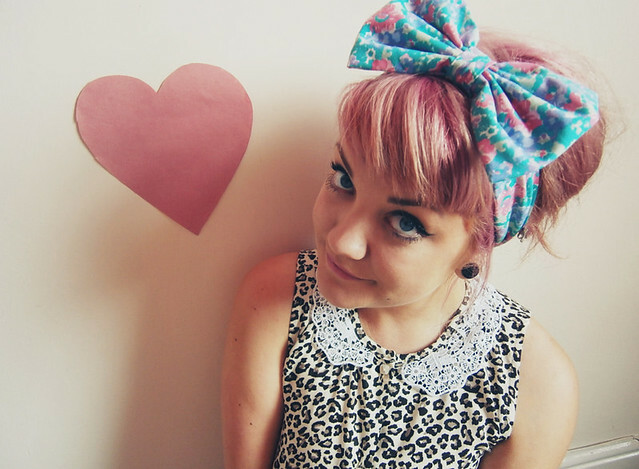 This bow is awesome and does look great with your pink hair. You have such a cool style, we love your blog and are new followers. Such a cute bow!! Will definitely check out that website - need some fun new hair accessories!